3D printing equipment and machinery will be one of the main attractions at ADDIT3D, International Trade Show on Additive and 3D Manufacturing, which will hold its third edition from 28th May to 1st June 2018 in parallel with BIEMH. Its coinciding in time and space with the largest platform devoted to Industry 4.0 in Spain will give the event a wider range of equipment and finished components. The event also takes place within a favourable context, with significant increases in the sale of additive manufacturing equipment and companies offering solutions, as well as a foreseeable stabilisation in prices of both equipment and raw materials. Since the first edition of ADDIT3D, the “systems and machinery” category has been the most interesting sector according to the visitor’s surveys, with a score of 20%, followed by “industrial applications”, “3D scanning services”, “software”, “raw materials”, “metrology” and “services”. All aforementioned sectors will be represented at the event’s exhibition area, which will once more offer tailor-made solutions to strategic sectors, such as the automotive, aeronautics, moulds, industrial tooling, machine-tool, energy, railways, packing and packaging, defence and medical-surgical sectors. The campaign to attract exhibitors, which began in November, has kicked off significantly well. In June 2017, ADDIT3D brought together 90 exhibiting firms, which made an average of 225 commercial contacts with potential clients. The conference programme, coordinated by ADDIMAT, will address the sector’s major challenges, offering cutting-edge solutions to improve the product value chain. Representatives of leading companies will pass on their experience of the new applications that are already successful in this field, with provisions of exceeding €16 billion in 2020. Thanks to its combination of exhibition and conferences, ADDIT3D has become a benchmark to exchange information and technology, develop international promotion strategies and hence discover new business opportunities. 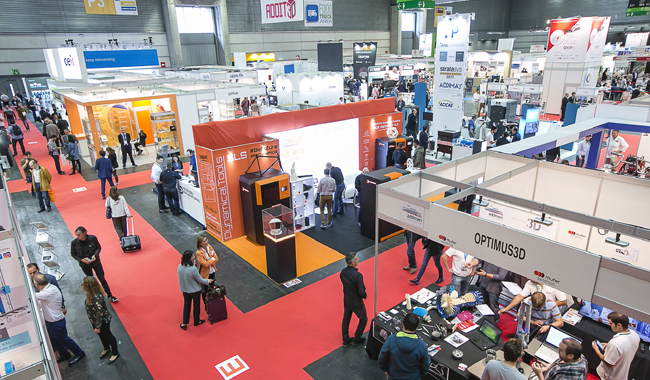 ADDIT3D is organised by ADDIMAT, Spanish Association for Additive and 3D Manufacturing Technologies, and Bilbao Exhibition Centre.